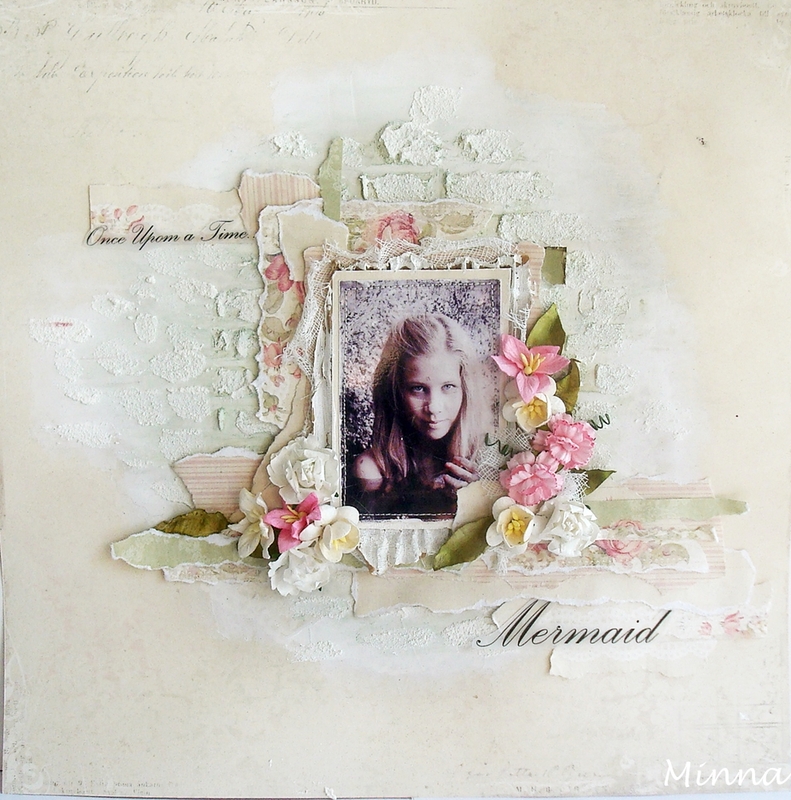 Today Design Team member Minna has two lovely layouts to share with us. 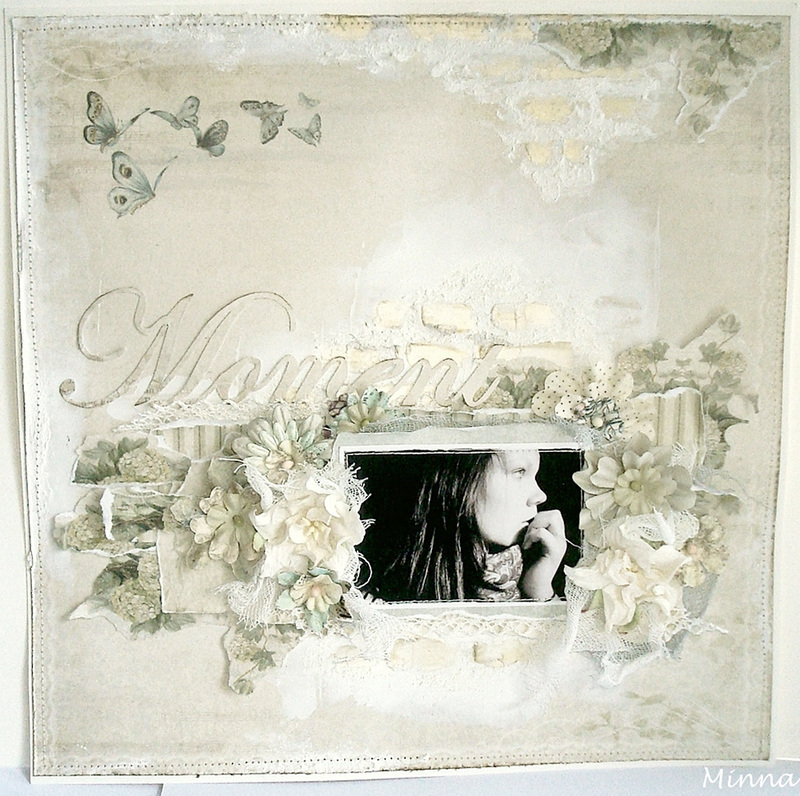 Today I want to show you this layout made with the For Mother collection. I have also used a green paper from Grandma’s school book to give some effect to match with the background. The photo is of my daughter who soon is 13 years old and the picture was taken during a swimming trip last summer. Here is a layout which I made using papers from the Grandma’s school book collection and with my oldest daughters photo. I have used some structure and acrylic paste for the fence effects and I also added some gesso. The word “Moment” is also cut out from a paper of the same collection.